MR Info Tips: How Can You Send File From Your Phone To Your Computer By Using Wifi And Browser?? How Can You Send File From Your Phone To Your Computer By Using Wifi And Browser?? 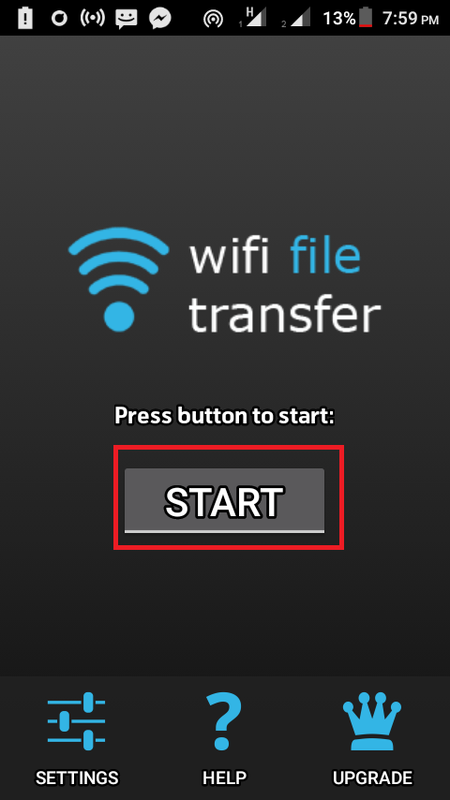 WIfi file transfer app your web browser. If you would like to use this app public wifi, please make sure to set an access password in the app setting. It gives you access to download, upload, delete,rename,copy, compress, password authenticate(optional) files and you can view photos , videos ,files directly in your web browser. If you would like to use this app public wifi, please make sure to set an access password in the app setting. Before we get started we need to know that wifi file transfer (free version) that allows up to 4 mb in size at a same time.But in pro version you can upload unlimited in size. Step:2: Above you can see the ip address Or URL of the Android device. You can spin another desktop or laptop and point to the same address in the URL bar and you will also be able to view the contents of the Android phone. Step:3 Now you can see the contents of the SD Card. Now By this, it is very very easy to copy any kind of file on your laptop to the Android Phone and android phone to laptop or pc! Android file transfer problems solved! Top 7 Android Tips And Tricks. You Must Be Need To Learn. HOW CAN YOU FIND YOUR PHISICAL WORLD BY CAMFIND. You Can Earn Money Up To 1000 Dollars By Followings Methods. SEO Consultation Service !! Do You Need SEO consultation service ? Do you Want to Build a sustainable online income with miBoodle ?? Copyright 2017 MRinfotips. Picture Window theme. Theme images by RBFried. Powered by Blogger.